Last week we rolled out three new features to make EasyAutoTaggin more flexible for your specific use case. 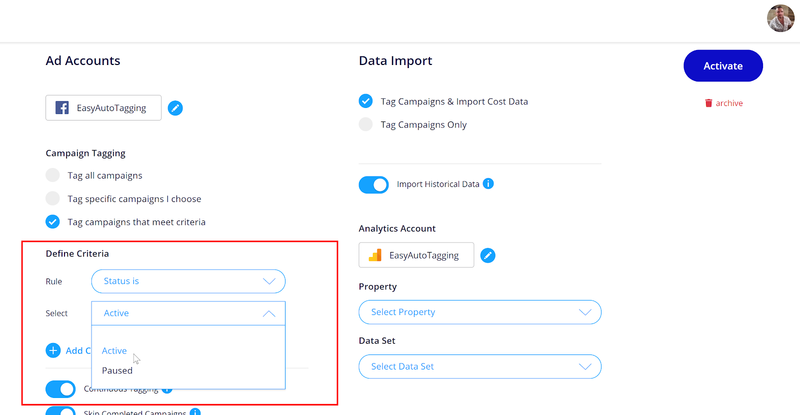 Filtering campaigns by status ensures that EasyAutoTagging is only tagging and importing cost data for active campaigns dynamically removing paused campaigns from the queue. You can also set the initiative to skip completed campaigns. Keep in mind this ONLY applies to campaigns labeled by Facebook as completed. Meaning they do not have an end date. We understand that users will want to connect existing campaigns to initiatives and are not only working with new campaigns. To make dealing with historical data easier, we have added an option to import historical data. If you are adding existing campaigns and this is toggled on all historical campaign cost data will be imported. 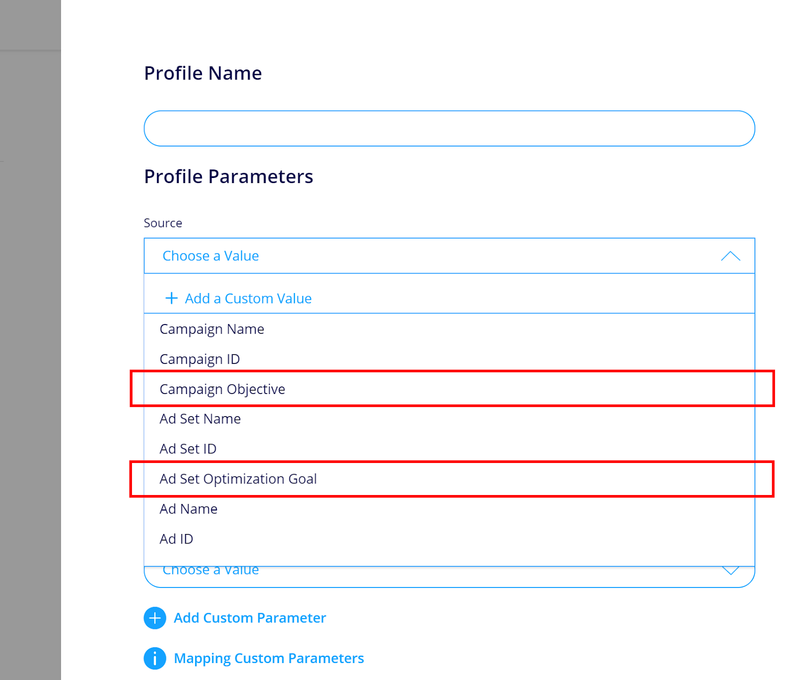 Now you can customize your standard or custom parameter fields further to pull additional granular campaign data into Google Analytics. If there are any additional features, you would like to see let us know in the comments below.